Standard tales of Second World War women agents and resistance heroines resonate with courage, glamour, toughness and nobility in face of implacable, arrogant enemies. We know who are the good guys and the bad guys or gals. The storylines are straightforward, heroic and exciting to read. Not so, Conspiracy of Lies. Complex, ambiguous, and full of surprises and twists. There is no doubt that Claire Bouchard is a courageous heroine, tough as tack at times, but simultaneously warm-hearted and self-doubting. And she has the great gift of love. We first see her in old age as a rather nice Home Counties lady, albeit with a fairly sharp tongue on occasion. She grieves for her daughter’s hurt after the latter’s divorce, but is unstinting in supporting her. Their mutual love and respect is obvious, but Sarah is concerned when her mother suffers a heart attack. Claire’s journey to northern France to confront the events that led to the attack reveals hidden secrets, not only about her wartime work, but a forbidden love. It also unpeels the hidden layers that she has so carefully built over her personality since the war. Kathryn Gauci has obviously done her research on France, the grim reality of life there during the German presence, the fluidity of the relations between occupiers and occupied. The period detail is a pleasure to read; I loved the references to Eva’s disregard of Third Reich strictures on German women’s clothing! The pace is sometimes measured, other times punctuated by scenes of intensity and action. I closed my Kindle with reluctance each evening and found it was after midnight each time. Beware, this story will grip you. The ebook was well-formatted with an evocative, outstanding cover. In all, an extremely satisfying read. This was a very exciting book taking place in WWII, my favorite genre. The story is a good one and kept me going to the end. I love this story! Thank you Kathryn Gauci for such an emotional and dangerous journey as we follow the life, love and bravery of Claire Bouchard in war torn France. Readers who loved The Nightingale, In Falling Snow and The Girl You Left Behind will certainly love this book too. I totally recommend this story. I have read this book as an ebook but have now purchased a print copy to add to my collection of favourites. 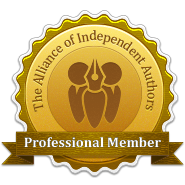 Conspiracy of Lies by Kathryn Gauci has received a Chill with a Book Readers’ Award. This is one of the best WWII novels I have read in a long time. The author has clearly done her research and the depiction of both everyday life in Occupied France and the Resistance are credible. The main character, Claire Bouchard, who has terrible choices to make, is totally believable and I found myself rooting for her all the way. Even the less sympathetic characters are well portrayed. A pacy and convincing read, this book will stay with me for some time to come. “Conspiracy of Lies” by Kathryn Gauci is a historical novel with a powerful political setting against the backdrop of the turbulent period of WWII. It is 1940 and the Germans are making their entry into France. Claire Bouchard escapes to England where she’ll stay for two years, but she gets recruited as a spy by the Special Operations Executive and sent back to France, now occupied by German troops. She works undercover as a teacher in Brittany. A chance meeting leads to a friendship with the wife of a top German official, a friendship that poses many dangers for her. Determined to protect the lives of her people, she sets out on the path of duplicity, becoming the mistress of the Gestapo Commandant. Will this affair allow her to glean information, and how long can she continue the affair before she is unmasked? Kathryn Gauci has clearly established herself as the mistress of the historical romance genre, crafting a story with characters that are memorable. Claire Bouchard is a solid character and readers will want to follow her, worried for her, fearing for her life as though she were someone they knew in real life. The writing is impeccable and delightful. Readers will enjoy this espionage thriller, in a powerful setting with slippery paths leading into the enemy’s lair, and suspense that grips the reader by the throat. Haunting, evocative and so beautifully written, Conspiracy of Lies will transport you back in history to a time that was ugly and violent, marred by acts and atrocities against humanity that will leave a bad taste in your mouth. Gauci does not try to rewrite history into something that it wasn’t. She shows us the uglier side of war in order for us to understand and appreciate the reason why Claire and her fellow agents put their lives on the line for what they believed in. And while it’s evident that the book is well researched, the strength of Gauci’s story is clearly in her characterizations. Young Claire is a formidable protagonist, both brave and resourceful. It’s also her innate ability to adjust to any situation that keeps her alive during the war. The individuals who inhabit and invade Claire’s life are there for a reason. Conspiracy of Lies is part history lesson, part love story and one hundred percent entertaining. The author’s attention to detail is evident, from both a historical aspect to that of her main characters. When writing, it’s never easy to alternate between past and present, yet Gauci makes the transitions seamlessly. For romantics and history buffs alike, Conspiracy of Lies is one of those books that is sure to stay with you long after the last page has been read. could get some secrets from the Nazis, her life is in great danger. This is a story of courage, a thrilling read with well-crafted scenes that capture the emotional depth of the characters and the intense conflict. The reader is captivated and engrossed in the narrative, each moment following the protagonist, fearing for her as she moves from the simple locales of Brittany to a glamorous lifeamong the Nazi officials. The author did an awesome job in portraying a historical setting that brilliantly captures the spirit of German occupied France. Kathryn Gauci’s writing is excellent and she demonstrates a great gift for plot and character. Conspiracy of Lies will be a delightful read for fans of thrillers featuring espionage, political intrigue, strong pathos and a vivid political setting. I couldn’t put it down. Moving, eye-opening and very impressive. Conspiracy of Lies amazing spy thriller set in World War 2 France. As I started reading the book I really thought I had the ending figured out but I was actually wrong! The story takes you up and down emotionally. I felt like I was there. The ending was bittersweet and had me thinking about the book all day. Like her previous book The Embroiderer, Conspiracy of Lies was full of passion, romance and heartbreak. My only regret is that I didn’t have time to finish the book sooner. Thank you again for a beautiful story! Can’t wait for the next. Today I finished this brilliant historical fiction. Claire Bouchard is the protagonist who joined the French Resistance in 1943. Despite an unmitigating love for her country, she kept her past well-hidden for most of her life, due to another allegiance by the man she loved. The story starts with her daughter Sarah giving her perspective of her elderly mother. When Claire began sharing her shocking truth with Sarah I was on the edge of my seat – then welcomed moments of respite from the war as mother and daughter enjoyed clam soup on their holiday in present day Brittany – and then back on the edge with galloping heartbeat again as the history unfolds further! The book is beautifully descriptive in every way. The opulence of the Nazi commanders and their families contrasted with the squalor of the French families under occupation creates a striking visual that brings the injustice of all war into a sharpening focus. Thoroughly researched, absorbing, and wonderfully written, Conspiracy of Lies is a novel I can recommend without hesitation to all adults. Kathryn Gauci’s second book was one I couldn’t put down until it was reluctantly finished. It held me in it’s grasp with each of the interesting characters within this story of Claire Bouchard, and her brave mission in occupied France, being recruited by the Special Operations Executive and involvement with the Resistance during the second world war. Her entanglement with a Gestapo Commandant became dangerous, but this book is not only one of romance, but thriller, and for me, part suspense. I fully recommend this book as a very enjoyable and worthwhile read. Both convincing and gripping, this is a book to make you think, make you wonder, make you shiver, and make you dream. The details of the French Resistance are excellently researched, and really come alive, with sufficient detail to bring a vivid and exciting picture to mind. The writing races, rushing you along with the action and the desperate hopes of the characters. These are well drawn characters, each extremely individual, and the heroine is a personality that enters your heart. The villains are equally charismatic, and it is this which perhaps makes the story line even more attractive. The love story is both unusual and mesmerizing, and I quickly felt involved myself, with a myriad of worries and hopes about how it would all end. France in wartime is presented with a haunting realism that kept me reading on, unable to put the book down until the end. There are passages which make you feel as though danger is on your own doorstep, and some details are horrific. But all this brings the book wonderfully alive, and I strongly recommend it. I often finish a book of modern fiction feeling it was a good read but I rarely feel a book is outstanding. After a gentle beginning this book really develops and I put it into the same class as Middlesex by Jeffrey Eugenides and it deserves to be as well read. In the summer of 1943 on a stormy night Claire Bouchard slipped into, or rather was hurled against the rocks of the coast of Northern France and so began the story of an exceptionally brave woman. The prologue and first couple of chapters hold the reader’s attention but after a re-reading of these after finishing the book nothing suggests to the reader that they should have been able to predict plot against the background of the Second World War where the outcome is much documented. Every page seems to come as a surprise, every page is a historical depiction of the lives of the French resistance; sometimes a relief and delight often horror filled accounts with suspense. Through all this is intense romance. It is also historically fascinating and would make a wonderful drama or movie. Couldn’t put it down, had to pace myself because I didn’t want it to end. Kathryn is such an amazing writer. This was a truly intriguing book and I couldn’t put it down. It was so good, took me only 2 hours to soar through it and enjoyed it so much.